We're thrilled to announce we'll be back at Alias Books for Carmine Iannaccone's IAmTheGravitySurfer. Note our new time, from 6-9pm. Stop by and see great work at the best little bookstore in Los Angeles! 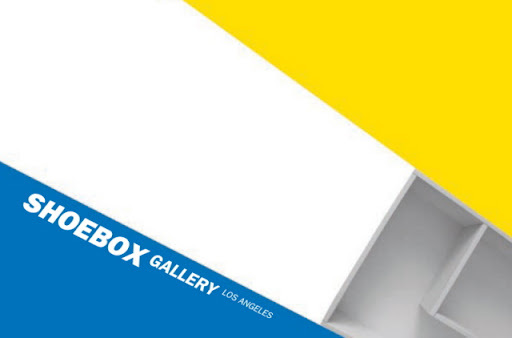 ShoeboxLA is pleased to present Carmine Iannaccone: IamTheGravitySurfer. At some height above the city, a cyclist speeds down a curving mountain road. The rider leans into the bends, negotiating a startling rush of forces. Her motion causes the road’s static plane to heave and dip like a swelling ocean. She navigates those swells and dips, pockets and humps, cutting a line across the onrushing topograph. MEANWHILE, HUNDREDS OF FEET BELOW THE RIDER: countless layers of alluvium compress under the weight of their own accumulation. 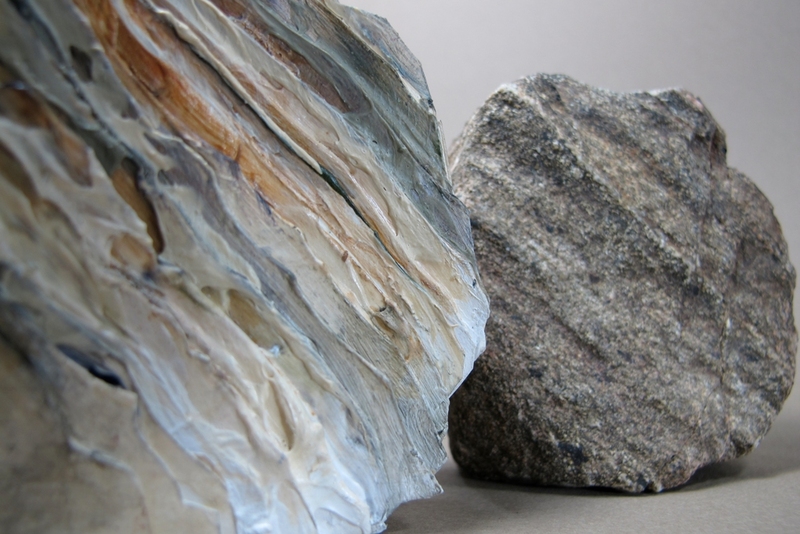 Differentiations across their breadth activate, crumpling the mass into uplifts and domes, folds and depressions. A slab breaks the surface, its submerged cross-section becomes visible as layers, mineral chemistries irradiated by light now become color. IAmTheGravitySurfer and the accompanying publication Accordion Fold simultaneously disassemble and reproduce these conditions in sculptural form. In so doing, Carmine Iannaccone looks at the nested plays of time and energy and how they combine to create patterns. In their dazzling variety and tantalizing offers of legibility, these patterns calibrate our perception of the world and speak to our anxieties about how we fit in. Carmine Iannaccone has been making art in Los Angeles for over 20 years. He received his BA from Dartmouth College and his MFA from Otis College of Art and Design. He is currently a studio mentor and teaches graduate seminars in critical theory at Claremont Graduate University.